Here we are, in the thick of summer. Camps, vacations, ice cream stops and beach trips dominate our calendars. But the fleeting weeks of summer ahead will lead us right back to, yep, school! Don’t worry. Hold on to that cone, and take notes. (We know our HulaFans can multitask.) We’ve got some low-maintenance and fun tips to ease back into the school season. And we promise, it won’t be a shock to your (or the kiddo’s) system! Nothing says concentrate like a homework-ready nook. Carve out a space in your home that your kids will want to spend time in year-round. Try to keep it clutter-free, but have bins on hand to organize supplies. Cork boards and a whiteboard will also make this functional and fun. Leading up to the first day of school, this can be a quiet, calm spot to unwind, read or create. Short on space? Consider a small desk under a loft bed, or make a "cloffice" (that’s right: a closet converted into an office). 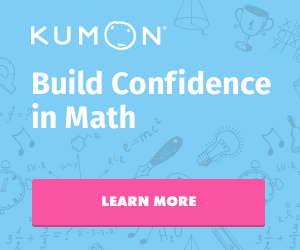 An individualized self-learning program that focuses on math and reading (like Kumon’s) can help kids develop better study habits and strong skills. They'll ease back into the school year with a sense of routine and solid learning skills. Kids spend just 2 classes per week at the learning centers and complete assignments at home the other days of the week. Bonus: watch their confidence (and enthusiasm for the upcoming school year) grow at the same time. Pro tip: A few weeks or so before the big day, start getting the brood back on the school bedtime and wake-up schedule. It’s so much easier to gradually ease everyone into a routine. Help kids wind down at the end of the day with a bedtime story. Take turns reading each page to make it even more engaging. 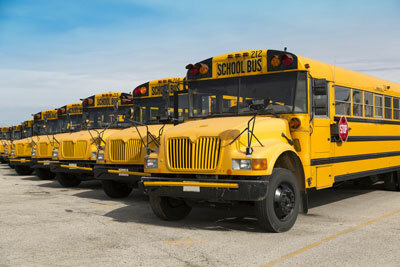 Believe it or not, early back-to-school sales start in July (true story!). So, unpack last year’s clothes, see what you need, what you can hand down, and what can be donated. Got a growth spurt on your hands? Check out mega consignment sales for quality used clothing. The early bird gets the worm and you’ll avoid the dreaded end of summer crowds while saving some cash. Your super-fun summer doesn’t have to end in a household scramble, or a math and reading “rewind” come first day of school. A little prep can go a long way. Maintain that easy, breezy vacay vibe and still be on point in the back-to-school game. You got this. Kumon accelerates your child’s learning—from as young as 3 years old all the way through high school. The proven method has benefited millions of kids around the world. In fact, many Kumon students are studying above grade level. Back-to-school is the perfect time to advance your child’s math and reading skills.